Listen to Jordan & Kristin Rippy | SoundCloud is an audio platform that lets you listen to what you love and share the sounds you create.. Lakeland. 6 Tracks. 21 Followers. 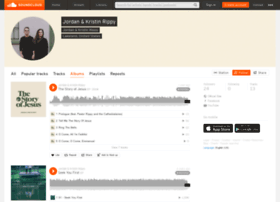 Stream Tracks and Playlists from Jordan & Kristin Rippy on your desktop or mobile device.